Our poor chickens have been having a horrible time trying to figure out where to lay their eggs. 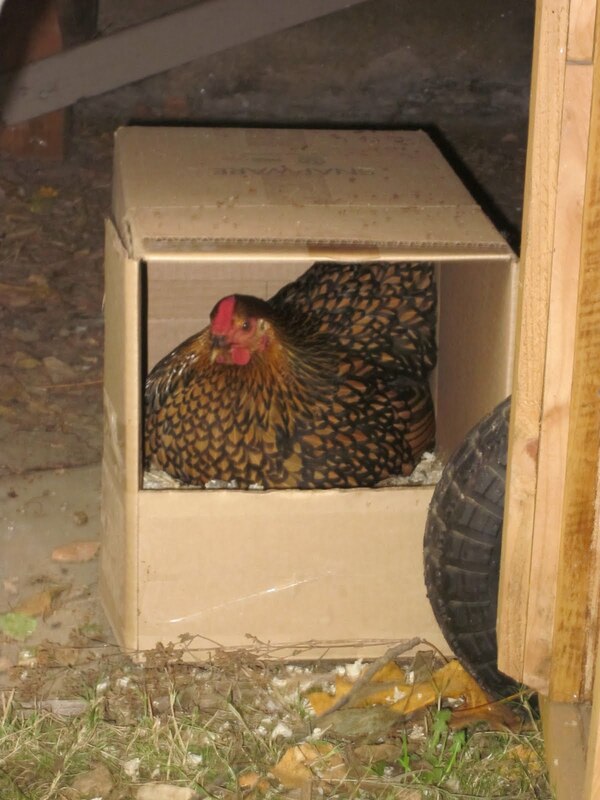 Their coop has nest boxes, but they sleep in them, so I guess they don't understand we want them to lay their eggs there. Over the last few weeks, they've laid their eggs in a variety of places throughout the yard: on the lawn, tucked under ferns, in the leaf pile and on our back deck. 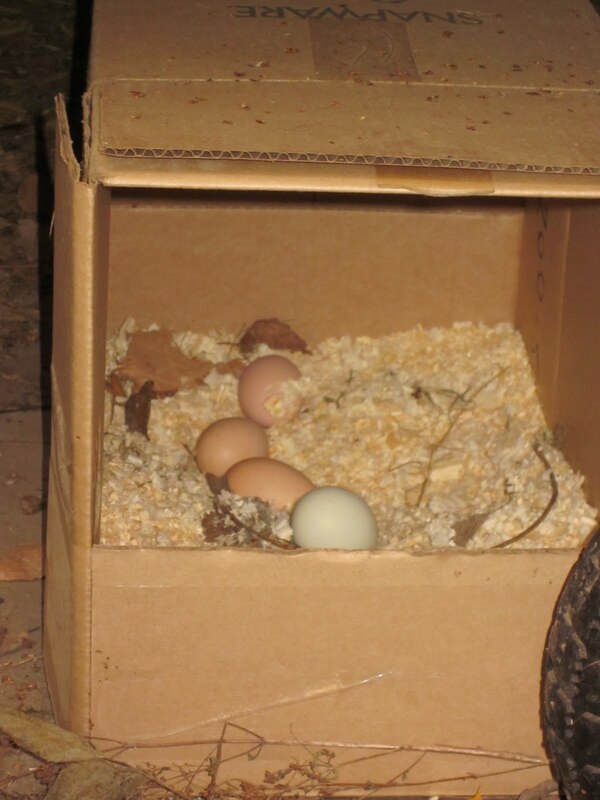 So, I decided the other day to try improvising a quick nest box out of a cardboard box and, after a couple days, it finally worked! We've had at least two eggs everyday since they figured it out. We've now added a couple more cardboard nest boxes and we'll try to make something more permanent when we finish school next month. 3 eggs today -- one from each. Are you leaving a false egg in the nest box to help them feel that it is a safe place to nest? I found that really helped my hens. The other thing that I've read, is that the nighttime perching place needs to be the highest place in the coop. I made the mistake of having the nest box in my henhouse be a bit higher and my hens all sleep in there too. The advantage is that they stay really warm all winter. The disadvantage is that the nest box gets poopy really quickly. I am designing an improved henhouse that will have the nest box on a lower level and the roost up higher.